Every year, millions of Shias flock to attend the majlis of Imam Hussain(A.S.).Unfortunately however, Shias have forgotten the true spirit of the initial majlis that was held by Zainab binte Ali(A.S). 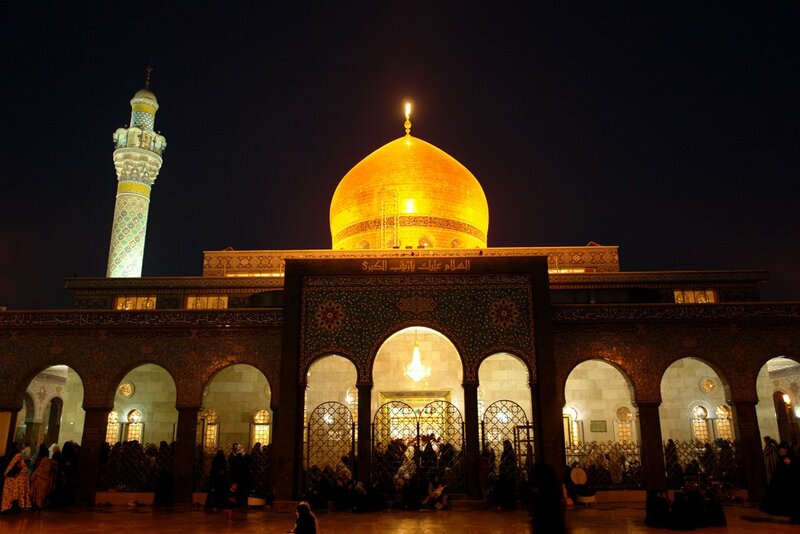 Held in Damascus, after Sayyeda Zainab(A.S.) was released from Yazid’s captivity, this majlis was not only a lamentation but also a call for standing up against oppression. Majlis, however, by itself, is also a way to stand up against the oppressor. In her eloquent sermon which was given in the court of Yazid, Sayyeda Zainab(A.S) undoubtedly named the oppressor and his wrongdoings towards the progeny of the Prophet(SAW). 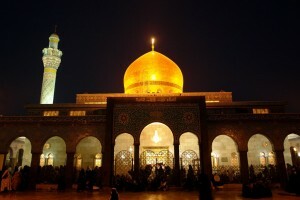 The shrine of Sayyeda Zainab(A.S.) in Damascus. Not only did she emphasize the need to identify the oppressor, but she emphasized the importance of feeling sorrow for the oppressed(the martyrs of Karbala). Sayyeda Zainab(A.S.) made it clear that we shouldn’t sit idly by while others purloin our basic human rights. 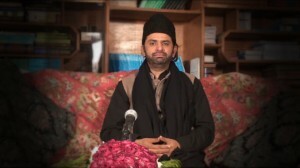 She has made the true objective of the majlis of Imam Hussain(A.S.) unambiguous. The genuine purpose of the majlis of Imam Hussain(A.S.) is to remember the tragedy of Karbala and feel sorrow(lament/mourn), and to remember the message of Karbala- which is to identify and stand up against the oppressor and to secure our basic human rights. We must not forget, however, that attending the majlis of Imam Hussain(A.S.) and remembering him is already a way to stand up against the oppressor; but we can always do more, and we must. Sayyeda Zainab’s(A.S.) words solidify our cause and teach us that we need to be aware of the Karbala of today which is Shia Genocide along with the genocide of Sufi Sunnis, Ahmadis, Christians, Hindus, Jews etc. 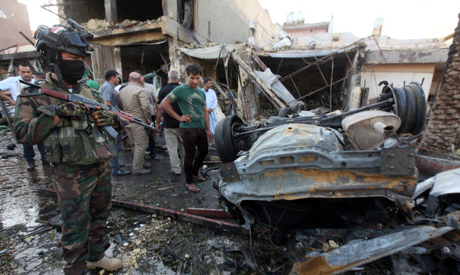 The most recent act of Shia Genocide was carried out by ISIS in Karbala on June 7th, 2016 in a car bombing, leaving at least five dead. Unsurprisingly, major news networks haven’t mentioned this atrocity at all. And to make matters worse, as usual, our leaders haven’t mentioned the blast either. Leaders, being those who speak from the pulpit at majlises and at any events at the mosque. Let us not forget that this is the same pulpit that was built due to the tragic events of Karbala such as the blood of Hazrat Ali Asghar, yet our leaders fail to speak of the Karbala of today(Shia Genocide/Karbala blast) in the way that it should be addressed. Our leaders are not doing justice to the message of Karbala. They fail to identify the oppressors(Yazid) of today or to acknowledge the atrocities(Karbala) of today to the extent in which they should be recognized. Our leaders must point out that the enemy of humanity and the Yazid of today is the ideology of the Takfiri Deobandis and the Takfiri Salafis; organizations like ISIS, Al Shabab, the Taliban, Ahle Sunnat Wal Jama’at, Sipah e Sahaba, Al Qaeda, Lashkar-e-taiba, Lashkar-e-Jhangvi, Boko Haram, etc. The list goes on, but the ideology is the same. It’s parallel to the concept of the same candy but with different wrappers. 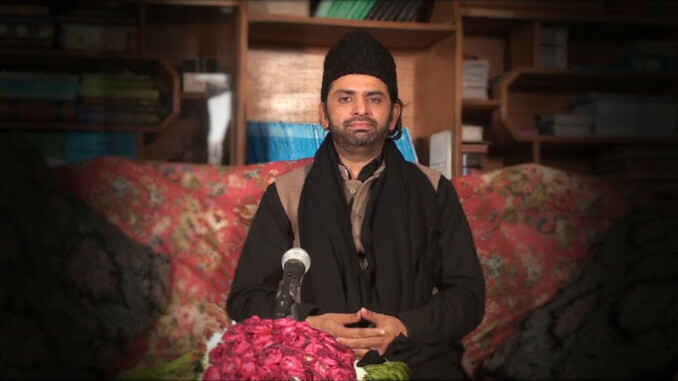 The commonality within such organizations is that they are hate–mongering and they commit the genocide of Shias, Sufi Sunnis, Jews, Hindus, Ahmadis, Ismailis, Christians, and countless others. Our true leaders, whom I salute, are being mercilessly killed by the same Deobandi and Salafi Takfiris that kill families who bring their children to the majlis and the juloos of Imam Hussain(A.S.). 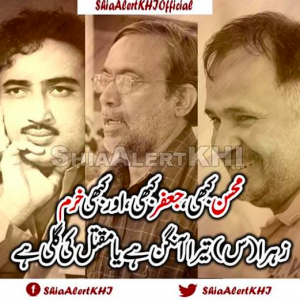 These leaders, such as Allama Nasir Abbas, Mohsin Naqvi, Professor Sibte Jafar, Khurram Zaki, etc; are our voices. They are the voices of humanity and of our people, and the voices of a people are as important to the people as the heart is to a human being. And that’s why when the Takfiris kill them, they are consequently killing us. This is why it is incumbent on us to revive the true spirit of majlis that was introduced to us by Sayyeda Zainab(A.S.). Although the act of attending majlis is, in and of itself, a stand against oppression, we must continue to remember not only the tragedy of Karbala, but also its message; and we must follow that message actively. 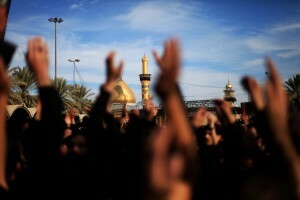 We cannot doubt the power that we have as followers of Imam Hussain(A.S.). It’s evident that we are a large force, seeing as in 2015, 22 million people attended the Arbaeen pilgrimage, marking it as the largest in the world once again. This proves that Karbala is one of the most important historical sites for us, and that is precisely why we should speak out against this recent blast carried out by the Takfiri Deobandi and the Takfiri Salafi ISIS. In the words of Imam Hussain (A.S.) himself, “Those who are silent when others are oppressed are guilty of oppression themselves.” Us Shia, should not include ourselves in the oppression of innocents by being silent.